By the way, I haven’t given you any specific dates or time frames for any of this, simply because it all depends on how much legwork you’ve already done. However, all of the above items can be grouped into “before book launch,” including today’s installment, creating a snazzy fact sheet about your book. This doesn’t mean it’s the way I did it. I only thought about most of my marketing activities after publishing the book, learning along the way as I connected with more fellow authors and gleaned new ideas. But the more you can do upfront, the better. Chances are, you’ll also have some idle time in between submitting your manuscript to your editor and sending the cover artist your requirements. Might as well get busy working on your marketing plan to fill the time. What do you use a fact sheet for? Well, any number of things. For instance, I used mine when advertising my upcoming book signing event at local coffee shops, asking nicely if I could utilize their pin board for one of my flyers. Frankly, I’m not sure how much good that did. The main use for your fact sheet is as attachment to any emails you might send out to potential reviewers and book buyers. Whenever you want to promote your book and send out an email to inquire if there is interest, attaching a PDF file with your fact sheet will be an easy way to describe your book at a glance. Who should you promote your book to? Book reviewers, obviously, are one such group. Book promotion websites like BookBub are another, as well as bookstores and libraries. I’ll talk about all of these in another post. 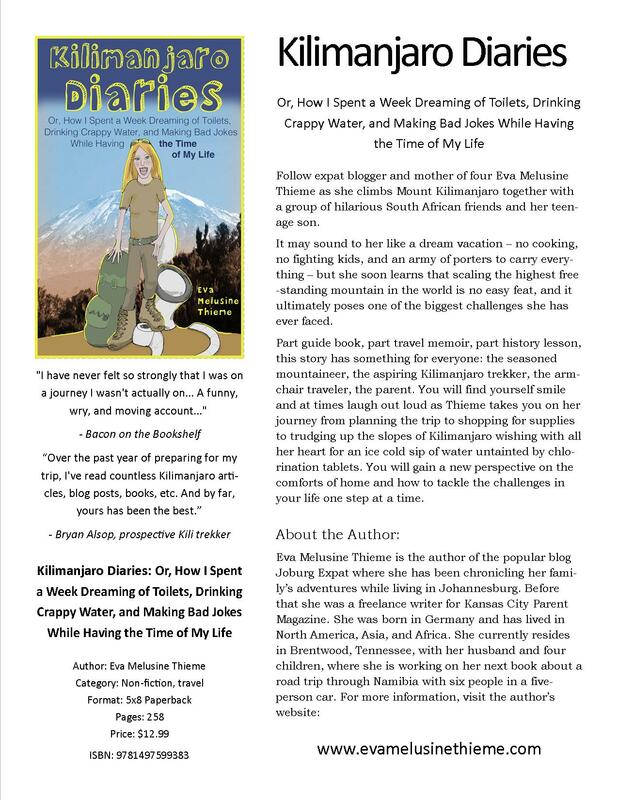 In my case, I also targeted websites advertising Kilimanjaro climbs, an obvious fit for a memoir about climbing Kilimanjaro. They want people to climb the mountain – what better way than letting customers read the account of someone who did? At least that is the idea, in theory. In practice, this has been slow going for me, but mainly because I haven’t dedicated much time to it. But as I said, I’ll be talking a little more about promoting your book to various target groups in upcoming posts. For now, just go ahead and create your fact sheet. If you feel like it, make a very abbreviated version of it into a bookmark, which can double as your business card.